OUR 6th annual boys of fall charity golf tournament RAISED $136,850! our 7th annual event will be held in summer 2019, stay tuned for dates. In 2012, Canada's two rising stars — Country Music Artists Chad Brownlee and Dallas Smith, joined as co-headliners in a sell out journey across Canada. During this time, the two British Columbia boys formed a solid friendship, and returned home looking for a way to make a difference in our community. Chad and Dallas teamed up with Redwoods Golf Course and in The Annual Boys of Fall Charity Golf Tournament was created as a charity event designed to benefit Basics for Babies. Basics for Babies is run by country music station JRfm, which has partnered with Food Banks BC to ensure that all babies in the Lower Mainland get the nutrition they need. The charity works hard throughout the year to support and inspire each one of the member food banks so that they can, in turn, achieve hunger-free communities all over British Columbia. Funds raised go directly towards Food Banks BC—every year, Food Banks BC helps almost 100,000 people throughout the province—of which 30% are CHILDREN! Golf in Langley just doesn't get any better. In the foreground—an immaculate fairway surrounded by large growth trees. In the background—a panoramic view of the coastal mountains. 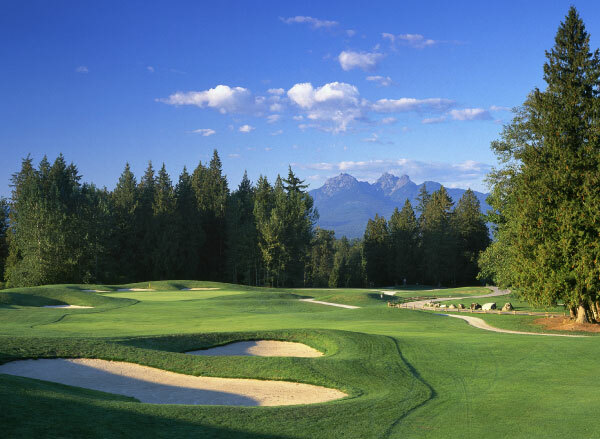 Spread over 175 acres, The Redwoods Golf Course has been awarded Golf Digest's prestigious "Places to Play" Award and has been recognized as one of B.C. 's Top 30 Public Golf Courses. 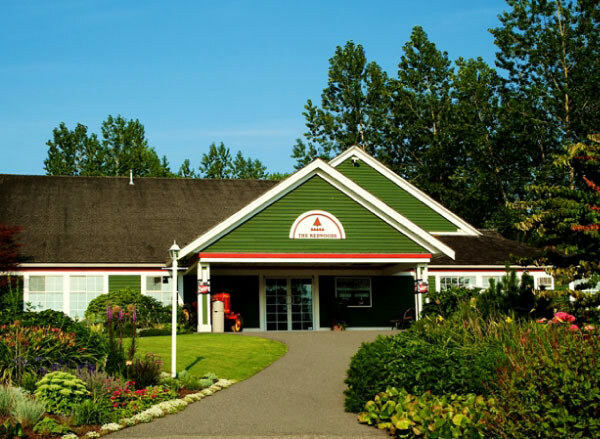 The team at Redwoods Golf Course prides itself on making sure that each guest has a memorable experience. Each round is enhanced by the warmth and country charm of its surroundings coupled with an uncompromised layout. The course entails 18-holes of golf, each enveloped by tree-lined fairways on a split level property—which allows golfers to play on two stages, all with the magnificient backdrop of the coastal mountains. The Redwoods team is committed to the preservation and continued enhancement of the environment. Great care and attention have been taken in creating a course that harmonizes with the natural surroundings. The Redwoods is a challenging and pleasurable golf experience for all, and will make your day at the tournament an amazing experience. From out of town? Need a place to stay? We've got you covered. Both Sandman hotels are located just minutes away from Redwoods Golf Course . To get a special rate, make sure to mention you are going to an event at Redwoods Golf Course.